A stunning and modern two bedroom first floor maisonette located in a desirable area of Eastern Green. 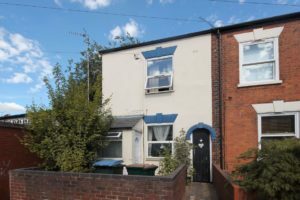 Comprising of two good size bedrooms, a newly decorated bathroom with shower over bath, a newly fitted kitchen with an electric cooker/oven and a decent sized lounge. Further benefits include a medium sized garden at the rear of the property. No bills included. Council tax Band B.